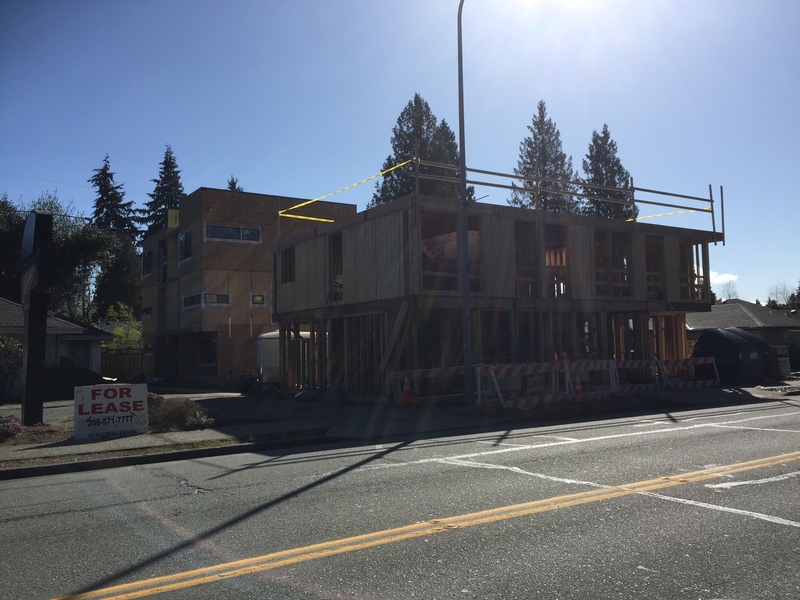 Anyone who has passed by 8038-8040 35th Ave NE recently has probably noticed that construction is well underway. After last September’s demolition of a long-vacant one-story building on the site, the new development has taken shape rather quickly. 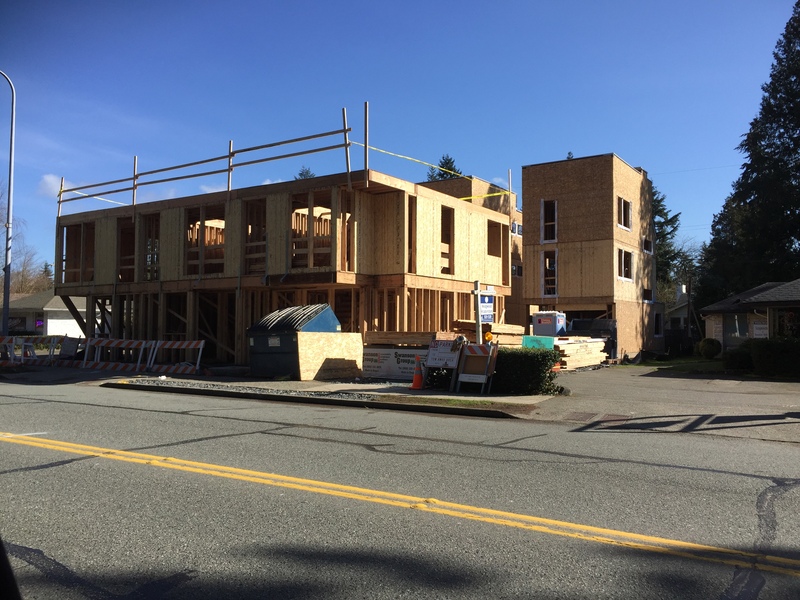 The site plans include three row houses along 35th Ave NE, with two townhouses and one single-family residence behind.